Nearly 150 Professional Agricultural Lenders attended the 2017 OSU Extension Ag Lender Seminars across Ohio. The three locations provided diverse topics from experts in the private and public sector. Certainties and Uncertainties ahead for 2018 and beyond were discussed for the Field Crops and Livestock/Dairy sectors. 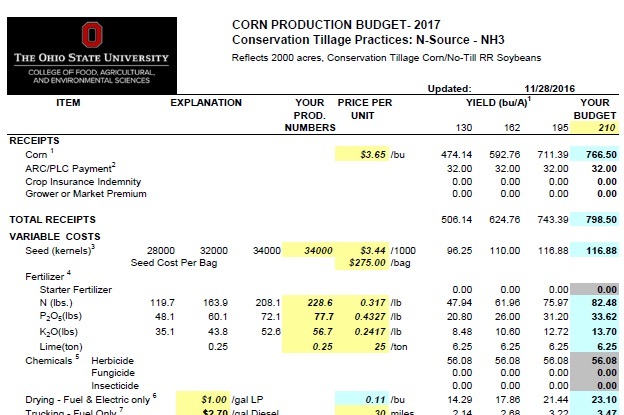 Lenders are a critical member of a farmer’s management team that makes U.S. production agriculture sustainable and critical to the local economy. We look forward the 2018 OSU Extension Ag Lender Seminars next Fall. 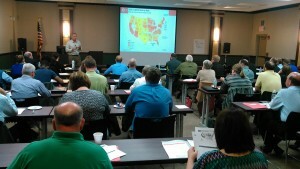 Thank you to the nearly 150 Ag Lenders that joined OSU Extension for the professional development seminars. Your comments and input on the evaluations will help our team develop the next program. We value your suggestions for topics and guest speakers. Seminar resources and information is designed to help you throughout the rest of 2016 and into 2017. Let us know how we can assist you and our shared clientele – The Farmer.